I attended Texas Christian University and completed my Bachelor of Science in Nursing in 2008. I started my nursing career in a 107 bed level III NICU at Parkland Memorial Hospital, where I had the opportunity to care for some of the sickest babies. After my time there, I transferred to another hospital where I worked in labor & delivery, Antepartum, OR, and continued to care for babies. In 2013, I had the opportunity to complete my masters in nursing education at Walden University and began working as a perinatal nurse educator. 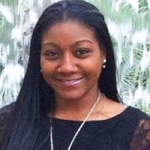 I am currently the Nurse Residency and Clinical Simulation program coordinator at University of Texas Southwestern Medical Center, as well as the chair of the DFW section of AWHONN, and the host chair for the 2016 National AWHONN Conference. In my free time I enjoy working out, playing with my dog, Winnie, and serving at my church. Every day throughout the country women’s health nurses encounter patients that have suffered from a neonatal loss. Nurses play an integral part in helping families to navigate through losing their infant. As perinatal nurses, it is important that we know how to best physically and mentally care for our patients during this difficult time. While our patients needs remain our primary focus, it is also imperative that we are able to recognize and process our own emotions as we go through this experience with our patients. The inability to acknowledge not only our own feelings, but those of our colleagues, can lead to increased stress, compassion fatigue, and healthcare provider burnout. The use of individual and team strategies to help recognize and confront our emotions as healthcare providers not only allows us to better support and care for our patients, but also provides a healthy work environment.